I have a goal this year. My home needs a little updating. Not anything major. But we’ve lived here over 10 years now and it’s time to update some of the decor. So my goal is to focus on a different room every month this year. In January I focused on the craft room. It was GREATLY needed after the holiday rush in my Etsy shop. February’s focus is the bedroom. I told you a little about that last week. 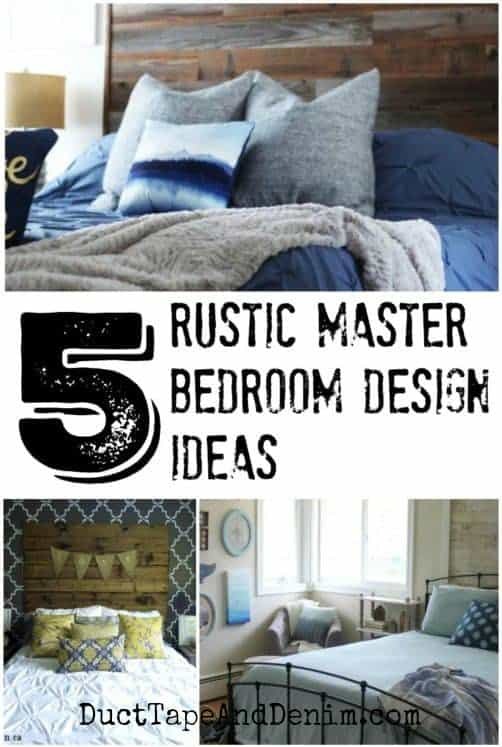 Today I’m sharing some of my favorite rustic master bedroom design ideas that I found while doing my research. Sign up for my weekly newsletter & have all our future projects sent straight to your inbox! I intentionally chose small master bedrooms for this slide show since I live in a small home and so many of you have asked for more small room ideas. Many of these looks could be obtained by using furniture you already have, painting old pieces, removing extra tchotchkes, or buying new linens. Most have white or very light walls but I love that one of the bedrooms is painted DARK gray! Shows that you CAN paint a small room a dark color. Are you brave enough? I’m not yet. Another color combination I’m loving is gray and brown. In fact, my new bedroom rug is gray with white and brown stripes on it. Rustic Chic Master Bedroom – I love pretty much everything about this bedroom. And it’s small for those of you looking for small bedroom ideas. Love that they used dark colors in a small space! Master Bedroom Reveal – Another great example of mixing browns and grays… something I’ve been doing a LOT lately! 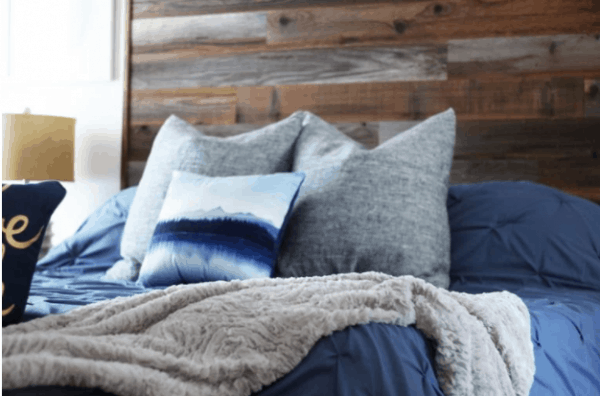 Modern Rustic Bedroom – I love the way this master bedroom blends rustic, mid-century modern, and even a little bohemian. Cape Cod Inspired Master Bedroom – I’m not usually a fan of nautical but this room is very subtle. I LOVE that wood wall. And it’s another small master bedroom. Before and After Master Bedroom Reveal – The ‘before’ wasn’t bad but take a look at what a few changes do! Thanks for reading my blog! Leave a comment and let me know which bedroom you like most. i like #5 bedroom with #4 bed. I like rustic anywhere. A rustic master bedroom would be cozy! Hi =D I just wanted to say that your ideas are awesome! 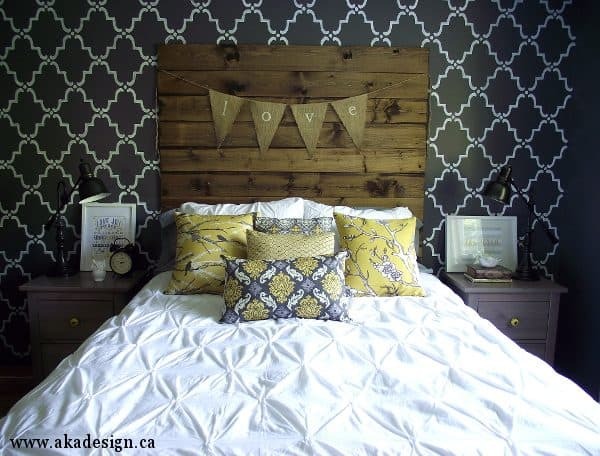 I love the rustic style, I can’t wait until I can incorporate it into our master bedroom. Love the post! Thanks, Irene! I’d love to see what you do with your master! Nice ideas! More to roll around in my head… I’m working on a plan for my master… Thank you for sharing at Dishing It & Digging It! 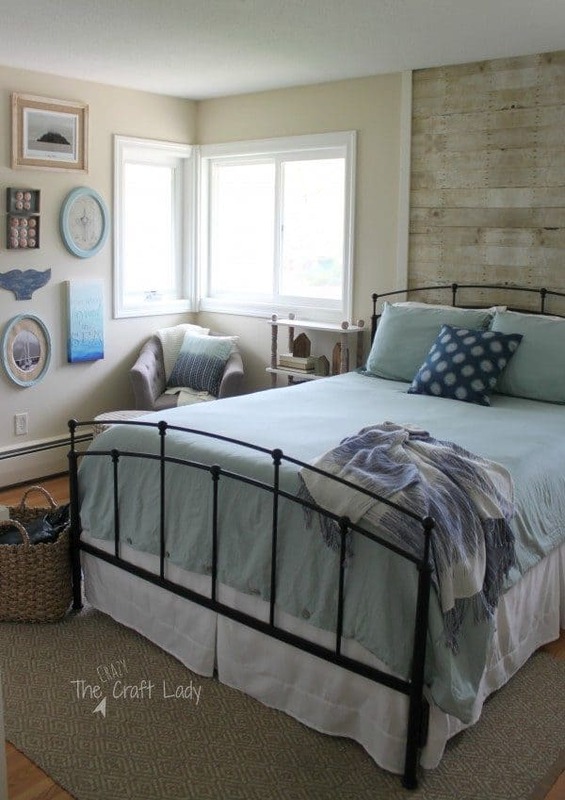 If I had to choose it would be the Cape Cod bedroom. I could see my bedroom looking like that 🙂 All of them are inspiring though!